there's a rumor going around that Vanessa Hudgens is cast as Leah in New Moon. Even if it's not true, I'm glad others have totally acknowledged her wolfiness. I mean, for crying out loud, she's MY werewolf, haha. there was rumors of another aka "bigger" actor would take on the roll as Jacob in New Moon, post first change into the wolf. I am glad to see that Taylor is staying. He is FREAKISHLY tall in the book isnt he? Oh god, I HATE Perez Hilton. That man is so obnoxious. But I looked at the link and... um, wow. That was sudden. I still think of him as a 14 year old boy so it was weird watching that. Like he's on steroids or something, which I highly doubt he is. I just haven't actually seen the movie Twilight yet since coming back. That might seem horrible, but I'm not even in the mood to. Yeah. Dakota Fanning. 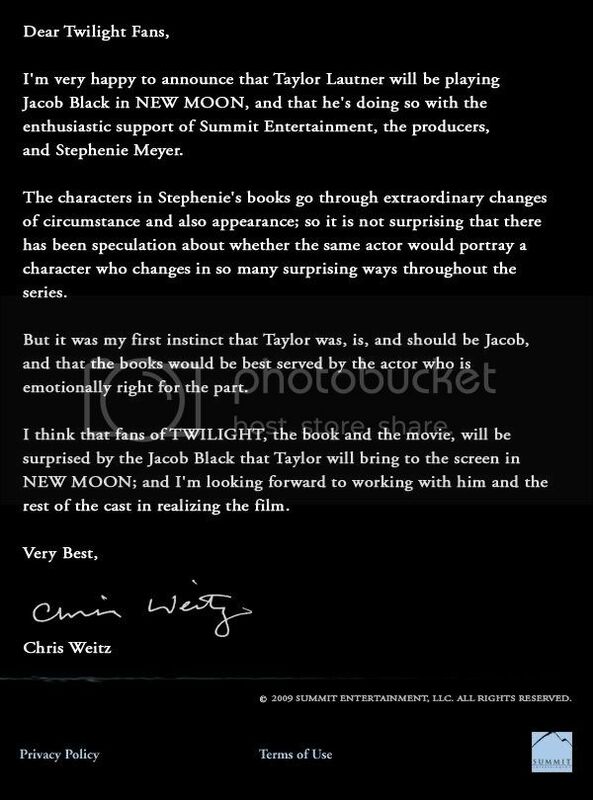 I've only read Twilight, so I can't comment on the character she might play, but...it's oddly amusing to me. Bet they'll squeeze her into the movie trailer as much as possible if she gets the role. i saw that too! im pumped! Which changing the directors doesn't really bother me. Use the Harry Potter movies for example. Each one is different and great in their own ways. On that note I would love to see Alfonso Cuarón do one of the movies. I love his darker side style. Oh I agree, I just like his style. so. 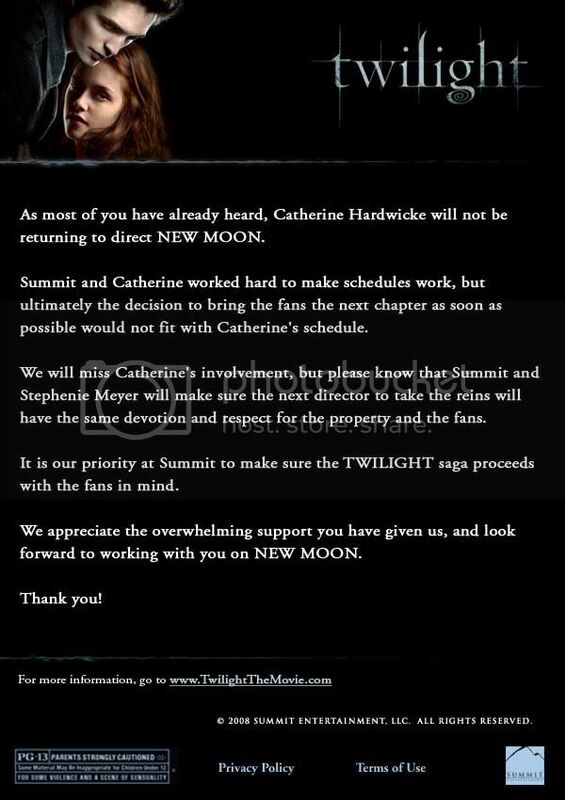 anyone else see the New Moon trailer and think..."well that's gonna be crap." I was pleased with how the phasing looked, but I've heard there is going to be more Edward than in the book, which would mean that Bella will not seem to develop an actual attraction for Jacob. It just didn't feel like New Moon to me. I'll try not to judge too hard til I actually see it though. and im kinda bummed out because the other Cullens didn't get much spotlight in the first movie and now they have to wait until the third one because in New Moon they were hardly there at all!!! 2) Jake looks so HOT without a shirt 3) they did really well on the werewolves, and the transformation isn't over-done or anything and finally 4) the poor Cullens need some face-time too! How could they forget that?! I hope they notice the mistake too and fix it before it comes out, because that will bother me so much when Im watching it! when he screams at him to get away, are they friends or is she running from Laurent and runs into him after not talking to him in forever? They can't afford this movie to be crap--everybody seems to be talking about it all the time. The radio station I tune into is constantly advertising it; "WIN TICKETS TO TRAVEL TO ITALY AND MEET THE CAST OF 'NEW MOON' AT THEIR TOP-SECRET LOCATION!!!!!!!!!!". Not to mention the no-life female radio hosts never being able to shut-up about Robert Pattinson, and they really should considering mostly all of them are over 30. I love the front-cover of the film - or whatever you call it - though. It's nice. Cannot wait for the film .. I'm glad that there's a lot more effort being put into the next in the series! 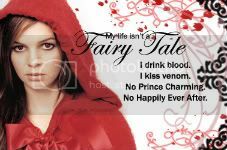 If you are a Twilight fan like me you will surely like these great products and wallpapers !! !